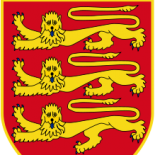 The Jersey Law Commission consists of commissioners appointed by the States of Jersey Assembly. The role of commissioner is unremunerated. Clive Chaplin (Chairman) has been a member of the Commission since 2000 and chairman since February 2010. He graduated in law from the University of Nottingham in 1974. He qualified as an English Solicitor in 1977 and in 1986 in Jersey as a solicitor of the Royal Court. He was a partner at Michael Voisin & Co before leaving private practice to become senior counsel with an international investments group in Jersey. 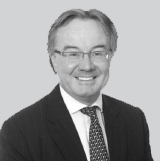 He returned to private practice as a partner at Ogier from 1994 to 2012. As a lawyer, his practice was principally focussed on the establishment of investment funds and general corporate work, including mergers and acquisitions. He is a director of a number of companies operating in the financial sector and chairman of a group of companies in the manufacture, supply and distribution of bathroom fittings and furniture. Reappointed chairman for a 5-year term on 19 January 2016 (term expires January 2021). Malcolm Le Boutillier joined the Law Commission in 2010. He was admitted as a Solicitor of the Royal Court of Jersey in 1975. He was previously a senior partner at Le Gallais & Luce, Solicitors, Advocates & Notaries Public. He has served as president of the Chambre des Écrivains and is a former chairman of the Mental Health Review Tribunal. Reappointed as a member for a 3-year term on 19 January 2016 (term expires January 2019). Advocate Barbara Corbett is a Jersey Advocate (a partner at Corbett Le Quesne) and an experienced English Solicitor, who specialises in family and child law. As such, she is therefore able to advise and represent clients in both Jersey and England. She is also a qualified Collaborative Lawyer, Specialist Children’s Lawyer, and is both a Family and a Civil and Commercial mediator. Advocate Corbett is the only practitioner in Jersey who is a Fellow of the International Academy of Matrimonial Lawyers, which demonstrates her expertise in international family law. Advocate Corbett is the first, and only, Family Arbitrator in Jersey. Advocate Corbett also has expertise in public child law, dealing with care and supervision orders and applications for contact with children in care. Appointed as a member for a 5-year term on 19 January 2016. Professor Claire de Than, BA (Hons), LLB, LLM is Director of Studies at the Institute of Law, Jersey, and Co-Director of the Centre for Law, Justice and Journalism at City University, London, having previously held appointments at two London University colleges. A senior academic of more than 20 years’ standing, she is the author or co-author of more than 15 books, including de Than, Criminal Law (OUP 2016), de Than and Heaton, Criminal Law (OUP 2013) and de Than and Shorts, International Criminal Law and Human Rights (Sweet and Maxwell 2004). She has over 80 legal publications in total, including chapters in leading legal monographs and edited collections, such as Reed and Bohlander, Substantive Issues in Criminal Law (Ashgate, 2011) and articles in a variety of national and international journals, including the Modern Law Review. Her research fields include criminal law, human rights law, media law, and disability law. She has been an expert for the Law Commission of England and Wales on two recent criminal law projects. A regular keynote speaker at legal and medical conferences, she has advised several governments and many organisations on criminal law, human rights and law reform issues, with specialisms in the law of British Overseas Territories and Crown Dependencies and in the law of consent. Appointed as a member for a 5-year term on 19 January 2016. Mr Jonathan Walker was educated at the King’s School, Canterbury and read Modern History at Hertford College, Oxford. In 1985 he qualified in the City of London as a solicitor. Having spent a period with Mourant du Feu & Jeune in 1990, Mr. Walker moved to Jersey in 1991 to join that firm and, having qualified as a Solicitor of the Royal Court in 1996, became a partner of Mourant du Feu & Jeune in 1999. His area of practice was finance and corporate law. He also served on the Board of Examiners, and was an Associate Professor at the Institute of Law from 2009 until 2013, teaching Company Law and Insolvency and Bankruptcy Law. Mr Walker retired from practice in 2014. Appointed as a member for a 5-year term on 19 January 2016. Professor Andrew Le Sueur (October 2014 – October 2018): he continues to work with the Jersey Law Commission on the forthcoming report on a public services Ombudsman for Jersey.